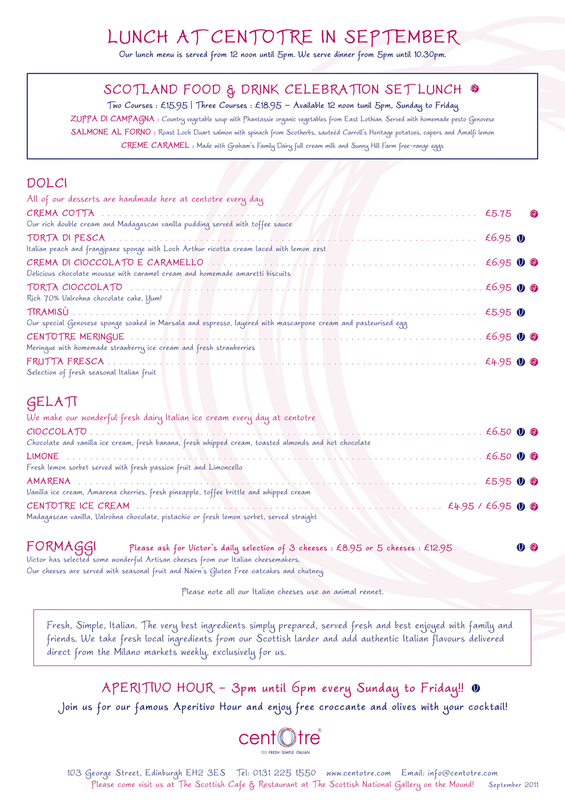 Fresh, simple, Italian to be enjoyed with ALL your friends and family!! 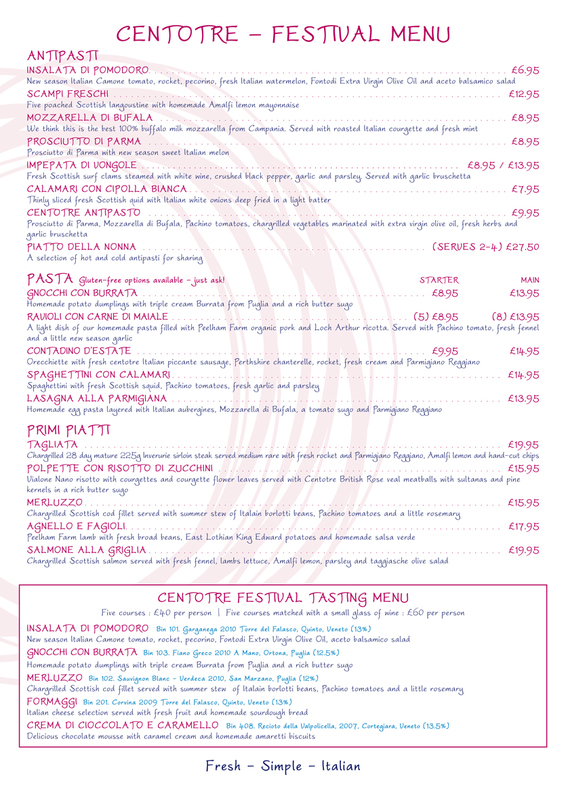 We’re pleased to be offering not one but two menus (lunch and dinner) with dedicated vegetarian and gluten free options so that everyone can enjoy the fresh taste of Italy no matter your dietary needs. 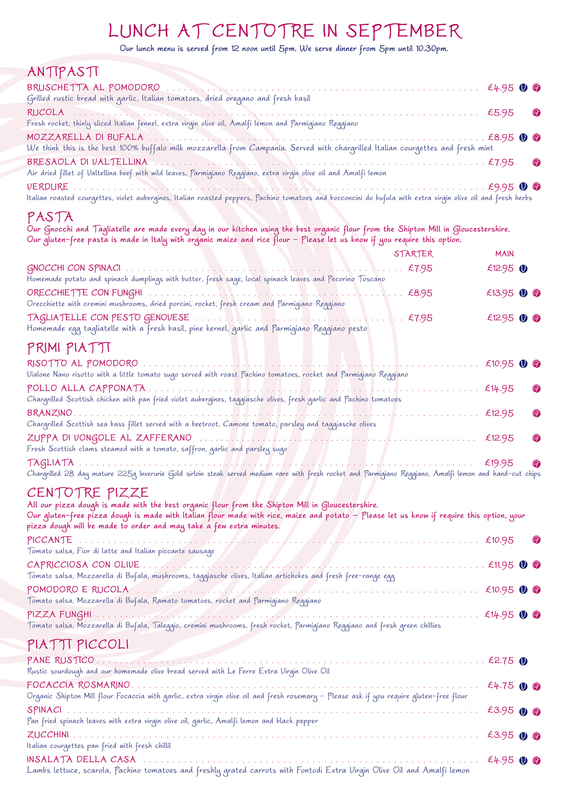 We’re always happy to adjust any dish to suit your requirements, please just ask!! Buon Appetito! On our recent family holiday to Italy we were lucky enough to visit the Puglia region and there we found Lucia! 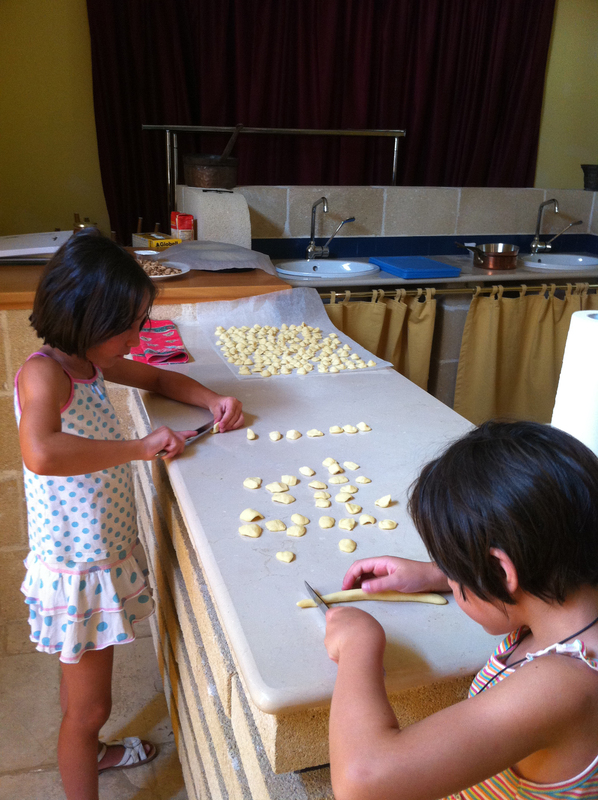 Lucia was kind enough to show us how she makes orecchiette, by hand! It’s the way her mother made it, and her mother’s mother before her, and her mother’s mother’s mother before her, and her mother’s mother’s mother’s mother before her…! You get the idea! 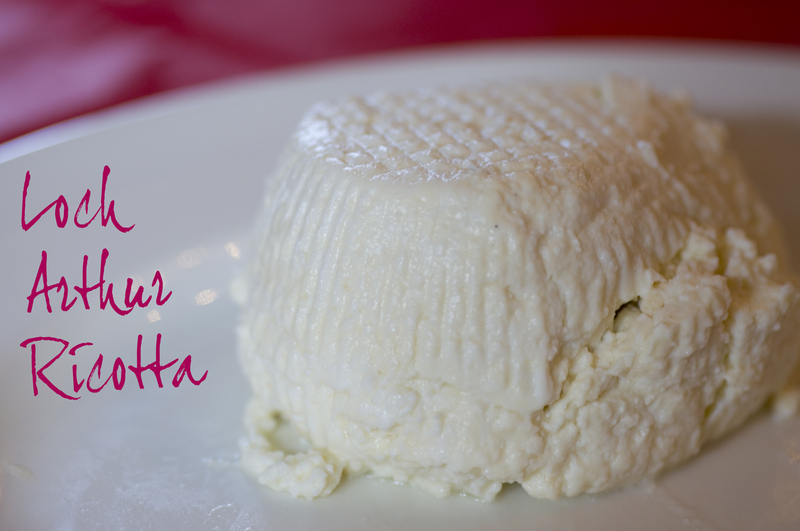 Lucia’s family recipe uses semolina flour, fresh egg and a little water to bind. When time’s were tight, eggs were not an option and the family would just use flour and water. Check out the video’s on our Facebook page here – you can see how expertly she mixes, kneads, cuts and shapes the pasta. It’s not as easy as it looks! Trust us! We all had a go. One of the joys of running a family business is we get to work together, share a home together, holiday together and make pasta together!! 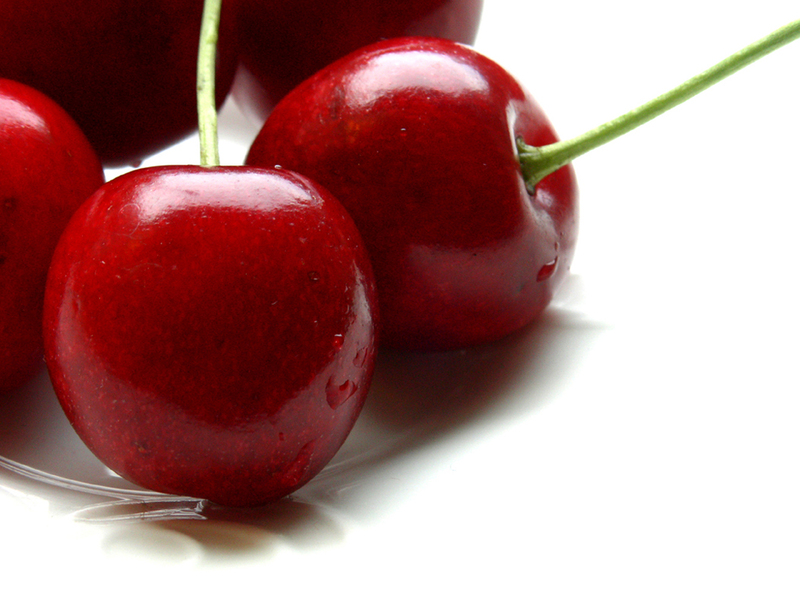 Today is National Cherry Day! A day dedicated to celebrating British Cherries and all the wonderful things you can make with them! Including our very own Centotre Cherry Daquiri – Fresh British cherries, muddled with Bacardi Superior, fresh lime, gomme syrup and ice – Yum! Poached Scottish langoustine with homemade Amalfi lemon mayonnaise; New season Italian Camone tomato with rocket, pecorino and fresh Italian watermelon; Our homemade gnocchi with triple cream Burrata from Puglia; Peelham Farm pork and Loch Arthur ricotta in homemade ravioli; Vialone Nano risotto with courgettes and courgette flower leaves served with Centotre British Rose veal meatballs; Chargrilled Scottish cod fillet served with summer stew of Italian borlotti beans and Pachino tomatoes; Peelham Farm lamb with fresh broad beans, East Lothian King Edward potatoes and a homemade salsa verde – to list just a few!! 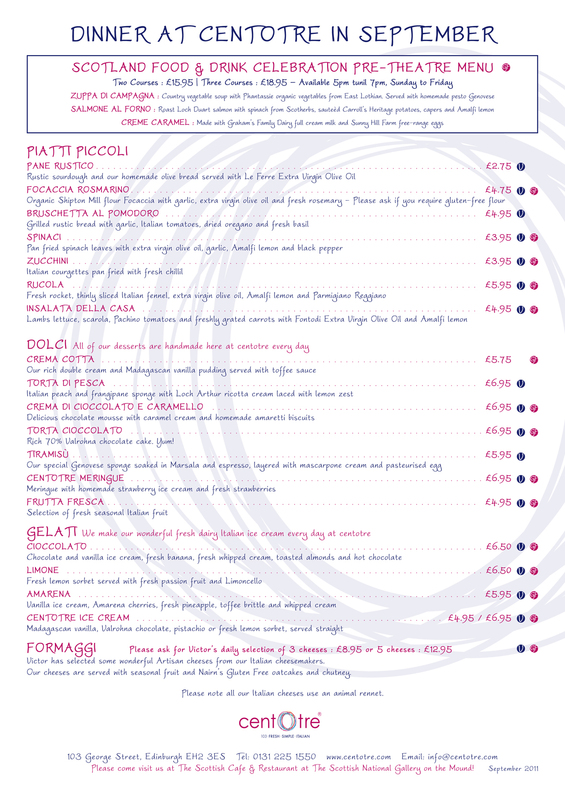 And to finish try our homemade Italian peach and frangipane sponge with Loch Arthur ricotta cream laced with Amalfi lemon zest or our famous centotre Meringue served with homemade strawberry ice cream and fresh Scottish strawberries – yum!! 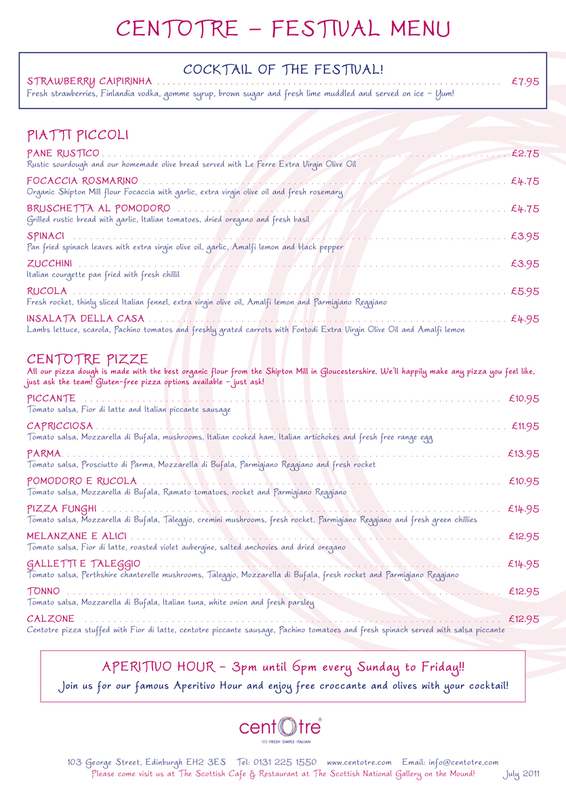 Reserve your table today and enjoy the flavours of the Italian summer with dishes made from the very best Scottish ingredients! The figures are in and we’re blown away! In the last year we’ve gone through 45,360 free-range eggs!!! We’d like to thank the healthy happy hens at Oxenrig Farm, Coldstream in the Scottish borders and Phantassie in East Lothian for their outstanding contribution to our menu! And of course their producers/farmers for keeping up with our high-demand for eggs. 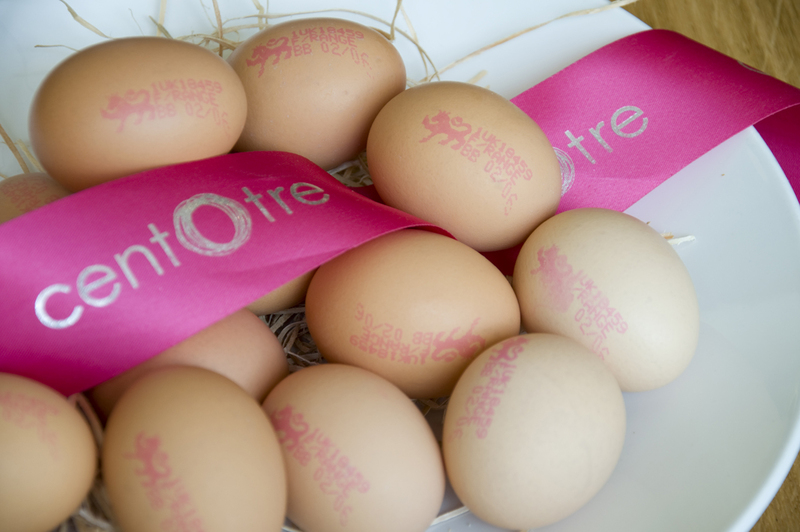 We use their free-range eggs across all our menus! 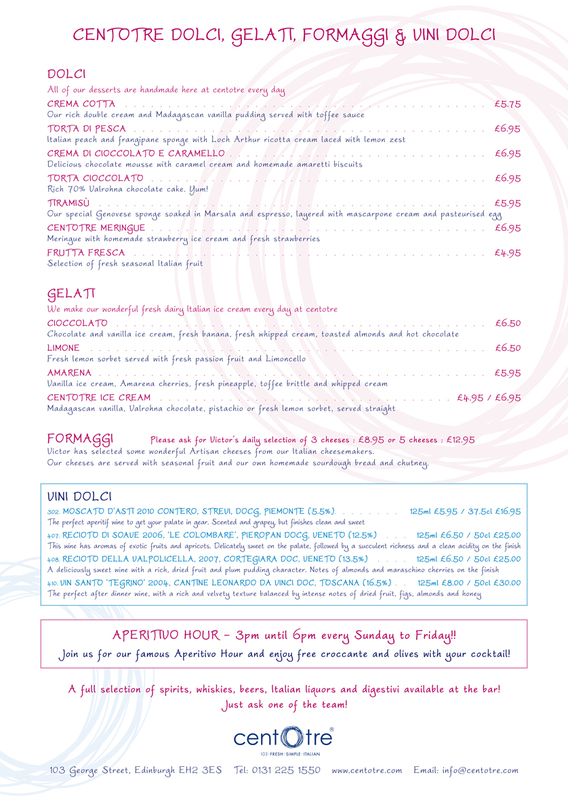 From full cooked breakfasts to simply prepared scrambled or poached eggs, homemade pancakes or our extra special Nonna Olivia’s Waffles. In our homemade fruit and cheese scones, baked fresh daily. 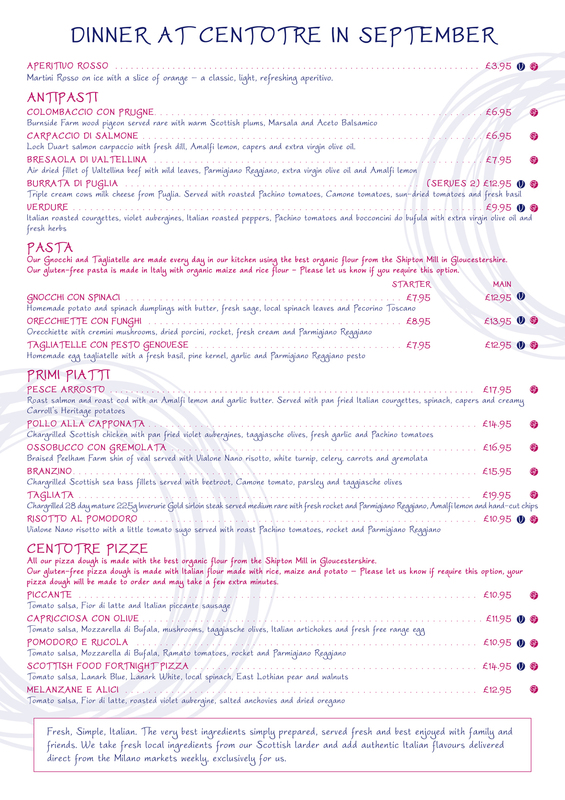 In our homemade pastas, on our delicious Capricciosa pizza and even on our dessert menu! Where we use these fantastic and very versatile eggs in our homemade meringues, famous Tiramisu, chocolate torte and lemon tart! Come in and try some for yourself! Let’s see if we can raise next years total to 50,000! As the days get longer and evenings warmer we’re getting closer to prime raspberry time in Scotland!! 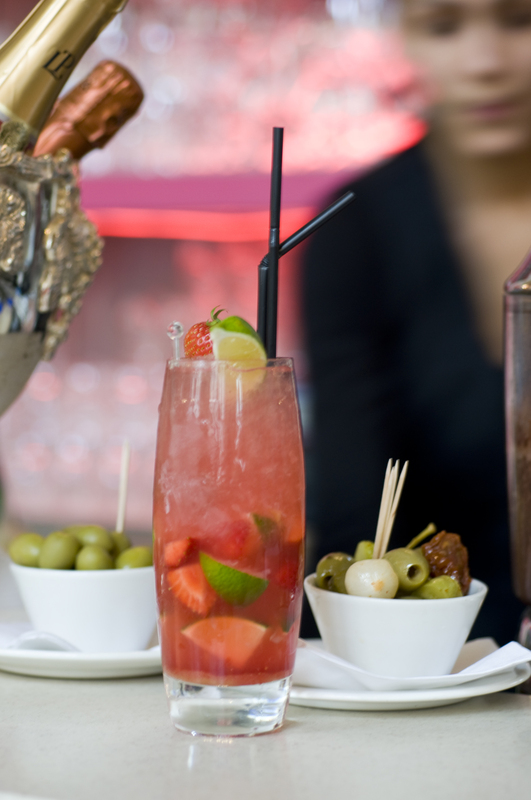 This week, in anticipation of the juicy red berries, we’re serving Raspberry Mojito’s as our cocktail special. Made with fresh Scottish raspberries and local mint, muddled with Bacardi rum, a little sugar, crushed ice, fresh lime and topped up with soda. Enjoy the extended daylight hours with a wee taste of the summer to come! 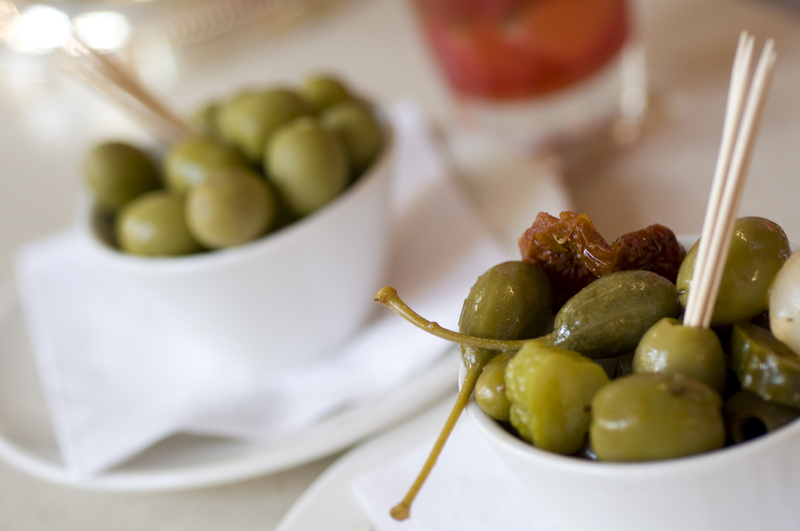 Join us from 3pm until 6pm every Sunday to Friday for our famous Aperitivo Hour and enjoy free chips and olives with your cocktail! Introducing, Oil – Olive Oil! 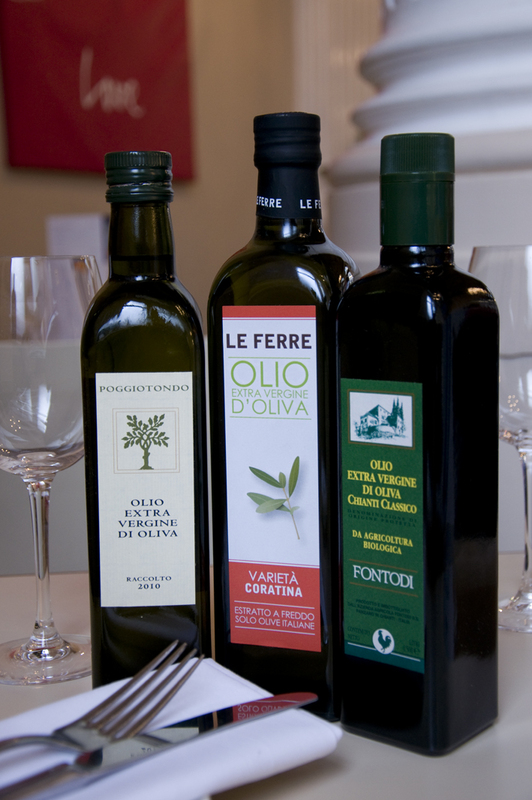 Have you met our new selection of olive oils?? Well, they are actually cold pressed extra virgin olive oil to be precise! 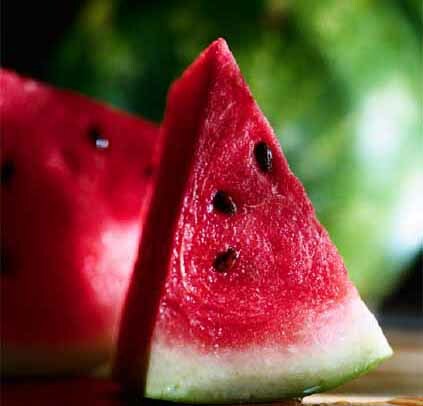 These are as significant, flavoursome and as complex as any grape variety. We all know about Chardonnay and Chianti but if we said Coratina, Frantoio and Mignola would you know these are as special? Single estate, single olive variety exceptional taste. Each to be used for a different purpose. Just as you wouldn’t normally drink a Vin Santo dessert wine with a carpaccio of fish! And if you like it as much as we do you can even take your favourite one home! Bottles on sale at reception.